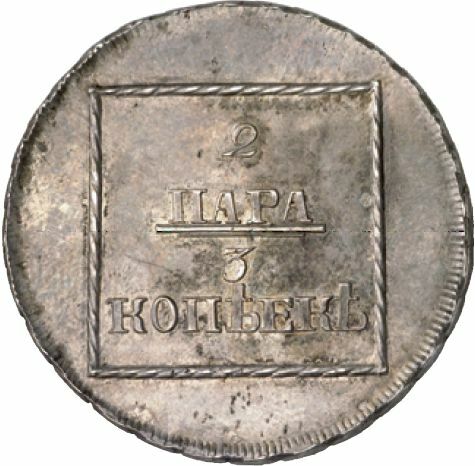 The pictures of the silver piece above are present on Romanian coins through the kind permission of "Fritz Rudolf Künker GmbH & Co. KG, Osnabrück", owner of the coin images being "Lübke & Wiedemann, Stuttgart". Since the face value is too small in comparison to the intrinsic value of the metal contained, the silver pieces can not be considered coins. Sometimes they are considered patterns. 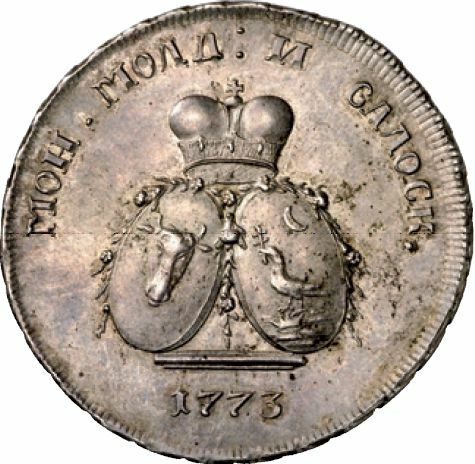 Most likely, these silver pieces served as models, in order to demonstrate to the very high level authorities (empress Catherine II, marshal Rumyantsev etc.) the production of the Sadagura mint.